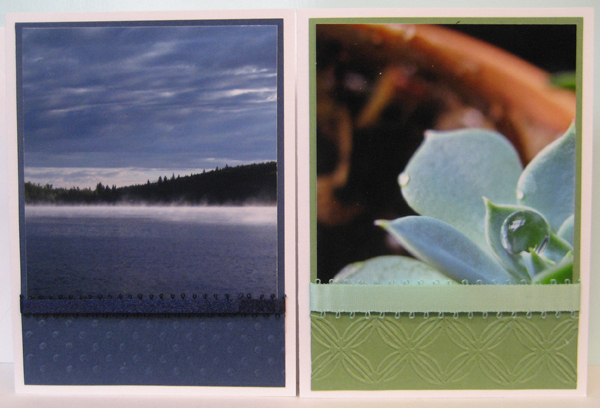 Made up a set of cards for a friend using photos from 4" x 6" photo calendars from my sister, Sylvia. She is a photographer and produces several photo calendars every year. 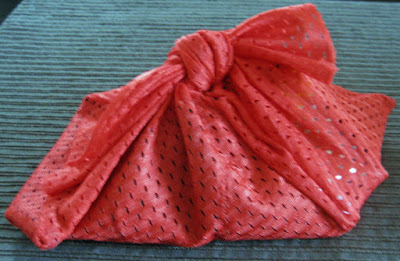 She offers them for sale on her blog and also has several locations where she sells them as well. 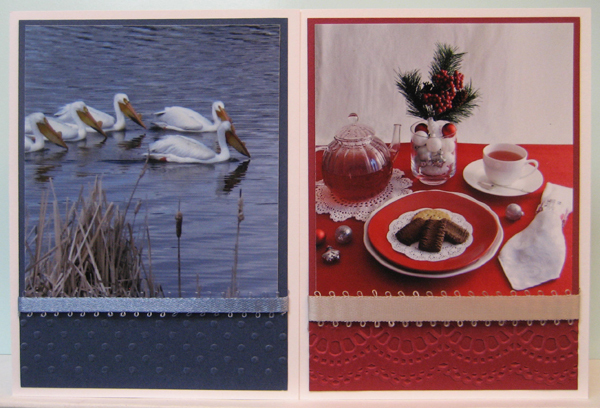 DH and I are blessed every year to get one each for Christmas. 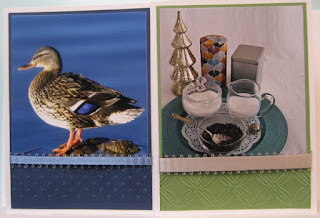 I love using the images from the expired calendars for making cards. 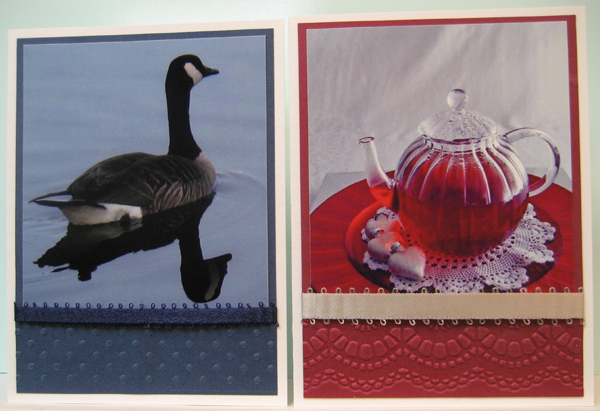 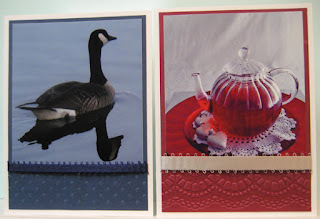 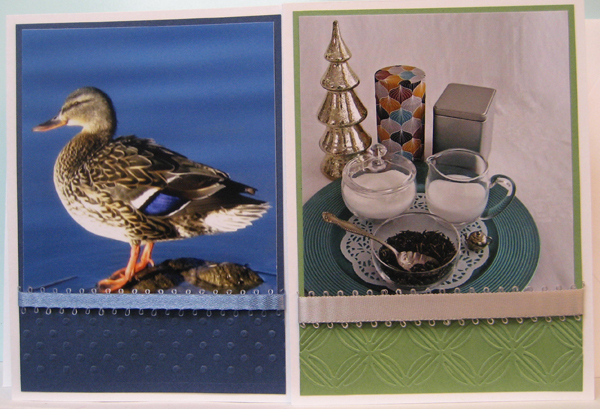 I used nature and tea related images from several of her calendars in this set of cards.